On the surface, you see a vibrant and colorful street with an authentic marketplace atmosphere. It’s packed with restaurants, shops, and vendors selling imports from Mexico: brightly colored piñatas, candles, maracas, blankets and clothing. There was a musician playing Peruvian music in the Plaza the day I was there. The whole area, including the Avila Adobe can be seen in a few hours. It’s a multi-sensory experience with great aesthetic value.Olvera Street is a beautiful reminder of the origins of the City of Los Angeles. Growing up in California, I didn’t spend a lot of time around downtown Los Angeles, but as an adult I’ve really enjoyed exploring and getting to know L.A. With every visit I like it more and more. It’s a culturally diverse city with a port and a great art scene. I work in the film and television industry, so there’s a natural affinity there as well. I love the huge billboards advertising the latest film or show. 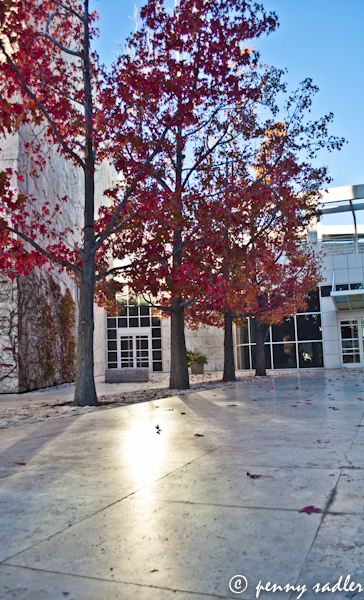 Read more about things to see and do in L.A. in my short memoir, Why I Love California. My most recent trip took me to Olvera Streeet and the oldest standing residence in the city, the Francisco Avila Adobe. This area is the location of the original city of Los Angeles. 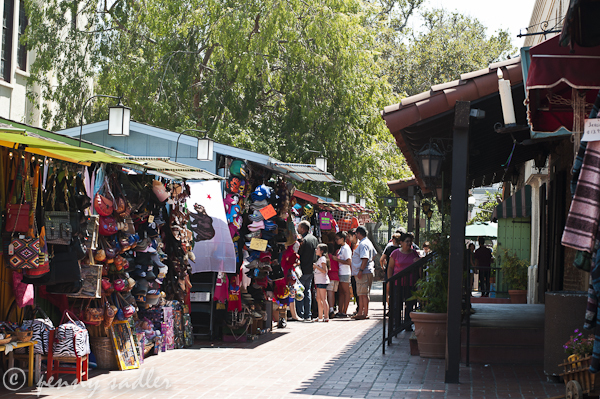 Here are a few facts about Olvera Street, and the area known as El Pueblo De Los Angeles. The area was settled in 1781 by the Spanish, who were in power until Mexico asserted itself and took over the pueblo. The first houses and adobe structures, the parish church, and the first streets were built during this period. By the 1880’s, the railroad brought a massive influx of immigrants, mainly from Mexico. It continued to be the center of civic life until after the Gold Rush, when the area fell on hard times. In the 1920s a woman from San Francisco, Christine Sterling, was interested in the history and sociocultural value of the area. She drafted a plan to save the Adobe and Plaza from demolition and turn Olvera Street into a tourist attraction. Sterling is responsible for Olvera Street and the restoration of the Avila Adobe as it is today. Without her determination, the Adobe and surrounding buildings would likely be dust in the wind. With funding from the wealthy citizens of Los Angeles, and hard physical labor provided by prisoners from the county jails, the restoration was completed. In 1929 the street was officially closed to traffic and in 1930, Paseo de Los Angeles officially opened. 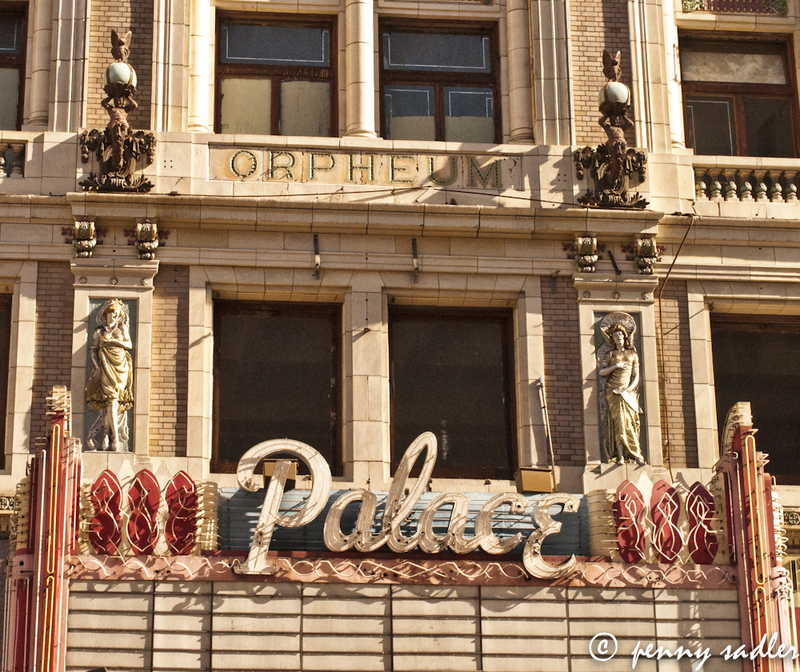 In 1953 is was listed as an historic monument with the City of Los Angeles. Reading this quote from Sterling’s diary made me laugh out loud: “One of the prisoners is a good carpenter, another an electrician. Each day I pray they will arrest a bricklayer and a plumber.” Not only did this woman have vision, she had a sense of humor, though I’m sure she was quite sincere in her prayers. She lived in the Avila Adobe until her death in 1963. Many thanks to my good friends, Brenda and Rich, for taking me to Olvera St. in spite of the fact that they are longtime residents of Los Angeles, and have been there many times. A special thank you to Rich, for encouraging us to visit the Avila Adobe, which started my research on the history of Los Angeles. And finally thank you to all the internet researchers and explorers before me. All content and photographs copyright Penny Sadler 2012 unless otherwise noted. I could embrace this side of LA. Get me away from all of the traffic and commercialism. There are many little neighborhoods like this in LA. Just have to know where to find them. Thanks for this! I’m actually a big fan of LA. The city gets a lot of bad press, but honestly there’s a lot to do and see in LA, if you just dig a little. I’d never heard of Olvera Street before! LA is good fun with lots of history. You’d like Olvera St. It is a bit small but you have a lot in the immediate area, Union Station, China Town, The Adobe, Pico House, oh and Philipe’s for a French dip sandwich. 1781? Nice to know Los Angeles has some serious history! Terry, aren’t you a native of California? It’s wonderful to see well preserved places like this and also get a nice background and history. Thanks for sharing a little about this lovely area. Ahh I love Olvera Street! Like you, I grew up in California but didn’t spend too much time in downtown L.A. I went when I was last home though, and there is so much good stuff to see. Beautiful pictures, by the way! There really is a lot there. Thanks! Oh, these colors! Love them! I am a sucker for color and markets so this was right up my alley! Love this post, but couldn’t get the “like” button to work! Happy Holidays! How weird. Well computers and anything connected with them, i.e. interenet, not always perfect! 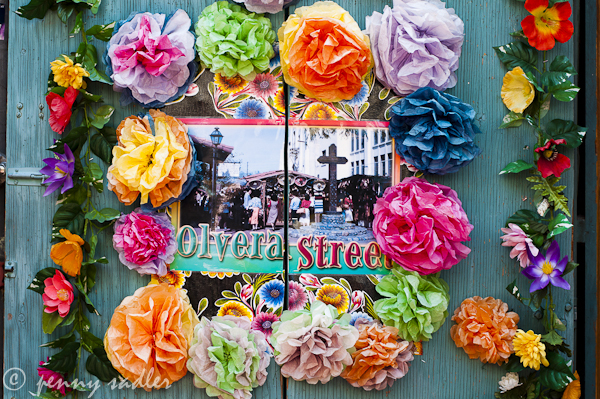 The joys of colors and rich culture comes alive at Olvera Street! Beautiful.